Cucumbers are very-tender vegetables that grow best in warm weather. To harvest sooner, start seeds indoors the week of the spring frost date, or purchase transplants. Transplants are ready when they have 2-3 true leaves. Harden off and transplant into the garden 2-4 weeks after the spring frost date. Cucumbers take up a lot of space unless you use a trellis or vertical support, Remove misshapen fruit when it is small, since the shape will not improve as it gets bigger. Cucumbers require high temperatures and many hours of sunlight. They cannot be grown in the winter. Cucumbers grow best in a rich soil; amend with lots of compost and fertilizer (chemical or organic) at planting and once during the season. Fertilizer: Apply 16-16-8 at planting, 21-0-0 after 6 weeks. Harvest slicing cucumbers as soon as they are large enough to be useful. 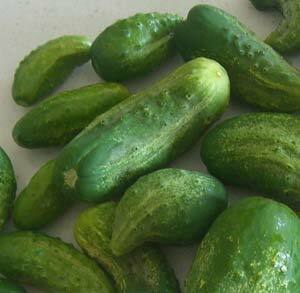 Harvest pickling cucumbers when they are small and crisp. For both types, harvest every 3 days to encourage fruit production. 8 per square struck me as an insane amount. So I went ahead and only did 6 in each square, or 12 total. I had a very late planting due to moving to North Carolina so they went in the ground on, lets call it July 1st. One month later they have filled the two squares and since I had to travel during a pretty critical junction I wasn’t able to get them entirely climbing. So some sprawl occurred. I will know better when it comes time to pull everything up, but I think a couple may have died. But I have to say it looks like they are growing well, and I’ve already had a few females flowers show up. Just for fun I made my SFG photos public and put the link to them in as my website. I update with new photos every week on Saturday. My cukes have finally started to come up. I had one that shriveled away right away, but I have several new ones that are looking pretty good. Some of them have come up really close together. Should I thin those out or can I move the ones that are too close together? Or should I just leave them and rearrange them as the go up the trellis? Perhaps you got that from your seed packet. Mine says to plant a handful of seeds (I can’t remember how many) and thin to 4-5 plants per hill in traditional gardening. That’s pretty close spacing. 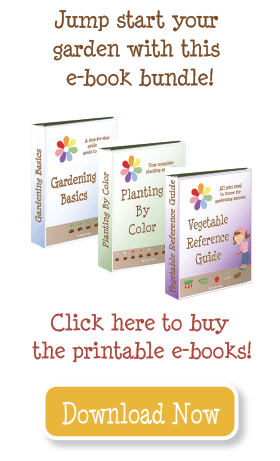 How well are you able to raise 8 cucumbers per square? I ask because Mel still says 2 per square. Is there anything special I need to do to raise 8 per square using a trellis?